It would've been awesome if that inflatable prehistoric creature survived American Ninja Warrior, but an even more incredible feat transpired in the grueling obstacle course recently. 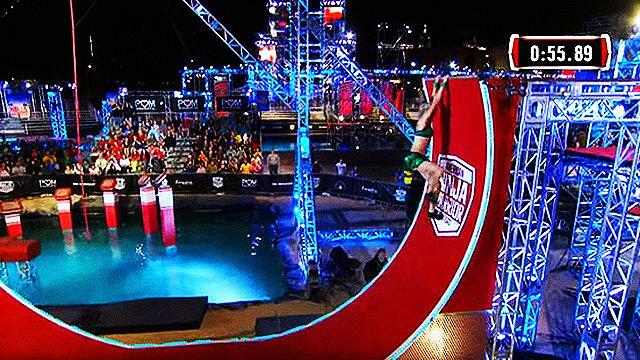 Jessie Graff, a 32-year-old professional stuntwoman (Supergirl), finished the utter hell that is Stage 1 of Mt. Midoriyama in the national finals of ANW Season 8, which was stage in Las Vegas. She is the first woman to do it, effortlessly at that. All those hours in the gym paid off handsomely for the champion pole vaulter and competitive gymnast, if you ask us. Jessie is also the first woman to get over the newly installed 14 1/2-foot Warped Wall...on first try.